At Katoomba Dental Centre, our primary focus is ensuring that our patients have the highest standard of dental care available. We look forward to serving the Katoomba area and the surrounding communities of Leura, Wentworth Falls, Hazelbrook, Lawson and Black Heath, caring for patients with honesty, integrity and compassion. We believe you will notice the difference from your very first visit with our dental clinic. We invite you to read our team biographies, listed below, so you can get to know us a bit before you come to our clinic. Dr Phillip Moss, Dr Sibel Er and Dr Elizabeth Flores Westreicher look forward to getting to know you and setting you on the path to a lifetime of good oral health. Our entire clinical and administrative team looks forward to seeing your smile. 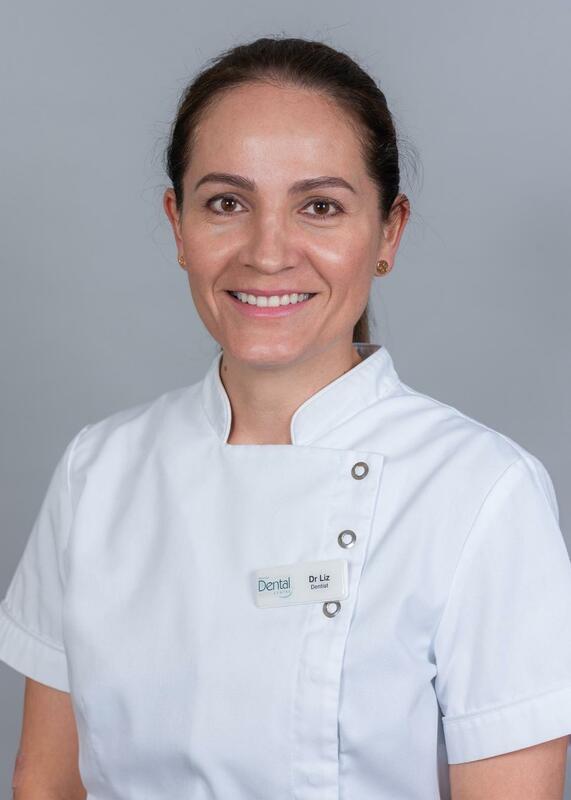 Dr Liz Flores Westreicher is delighted to be a part of the Katoomba Dental Centre. She graduated with a Bachelor of Dental Surgery in 2003 (Lima, Peru). Dr Liz has gained extensive experience in her own practice providing the best care to her patients. Liz volunteered to work in different dental mission fields catering for the marginalized and gaining experience in all aspects of general dentistry. She moved to Australia in 2010 where she attained her Certification of General Dentistry from the Australian Dental Council in Perth. As a member of the Australian Dental Association, Liz takes different avenues of learning and continues to update her skills and interests by attending various courses in order to provide the best possible levels of care to her patients. Liz's aim is always to make the patient feel comfortable in the chair along with tailoring treatments to the patient's needs and concerns. When she's not working, Liz loves relaxing with family and friends, doing outdoor activities, swimming, reading, cooking and learning new languages. Dr Philip Moss founded Katoomba Dental Centre in 1998. He is a Sydney University Graduate with 20 years experience in the Royal Australian Air Force before coming to work in the Blue Mountains. Dr Moss loves being able to solve patient's oral health problems and provide education. When not brushing up on the latest dental techniques you can find Dr Moss gardening, playing tennis, or snow skiing.